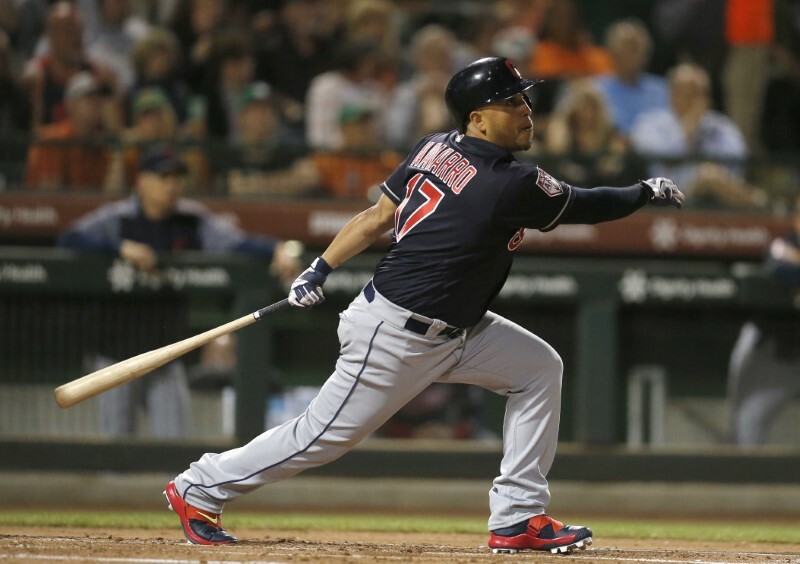 What’s new: Additions include 1B Carlos Santana, 2B Brad Miller and OF Carlos Gonzalez. Gone are DH Edwin Encarnacion, OF Michael Brantley, C Yan Gomes, 1B Yonder Alonso, 3B Josh Donaldson, RHP Cody Allen and LHP Andrew Miller. Cause for concern: Injuries have ravaged Cleveland this spring, with SS Francisco Lindor (calf) and 2B Jason Kipnis (calf) both to miss Opening Day and 3B Jose Ramirez questionable after sustaining a recent knee injury that required him being carted off the field. The Indians lost 88 home runs with Alonso, Gomes, Encarnacion and Brantley all departing this offseason, leaving a notable power void. Projecting 2019: Few teams experienced as much turnover as the Indians over the winter, but the lack of a real threat among the remainder of the AL Central teams means Cleveland should win its fourth straight division title. The rotation, headlined by RHP Corey Kluber, remains a strong point, though losing Allen and Miller is a big blow to manager Terry Francona’s reliever corps, especially come the playoffs. What’s new: Additions include DH Nelson Cruz, 1B C.J. Cron, 2B Jonathan Schoop, UT Marwin Gonzalez, LHP Martin Perez and manager Rocco Baldelli. Gone are 1B Joe Mauer, DH Robbie Grossman, RHP Ervin Santana and former skipper Paul Molitor. Cause for concern: Pitching stands to be Minnesota’s biggest weakness, with a rotation lacking proven depth and a bullpen full of question marks. Slugging 3B Miguel Sano, expected to bounce back after a disastrous 2018 campaign, appears to be out until at least May with a laceration to his right heel. Projecting 2019: The Twins added some serious thunder to their lineup this offseason in the form of Cruz (37 HRs in 2018), Cron (30), Schoop (21) and Gonzalez (16), though the team still has a lot to prove before being considered a threat to Cleveland. Baldelli might have some tricks up his sleeve from his time working in Tampa Bay, and middle-infield prospect Nick Gordon should make his major league debut. OF Byron Buxton, the No. 2 overall pick in the 2012 draft, enters a make-or-break season. What’s new: Additions include DH Yonder Alonso, OF Jon Jay and RHPs Ivan Nova, Alex Colome and Kelvin Herrera. Gone are OF Avisail Garcia, DH Matt Davidson and RHP James Shields. Cause for concern: Prized RHP Michael Kopech is expected to miss the entire 2019 season recovering from Tommy John surgery. Former top right-handed pitching prospect Lucas Giolito has struggled this spring (8.84 ERA) after posting a 6.13 ERA in 32 starts last year. 2B Yoan Moncada needs to cut down on strikeouts after whiffing 217 times in 2018. Projecting 2019: The White Sox attempted to make a splash this offseason, including an aggressive pursuit of prized free agent Manny Machado, but ultimately came up empty. Still, Chicago did add several useful pieces, and the continued emergence of a few key prospects from the team’s 2016 offseason overhaul could put the South Siders back on track. Top outfield prospect Eloy Jimenez is knocking on the door of the majors, having just signed a six-year, $43 million contract despite not yet making his big-league debut. What’s new: Additions include 2B Josh Harrison, SS Jordy Mercer, RHP Tyson Ross and LHP Matt Moore. Gone are C James McCann, DH Victor Martinez, SS Jose Iglesias and LHP Francisco Liriano. Cause for concern: Limited to 38 games after a sustaining a major biceps injury last season, 35-year-old DH Miguel Cabrera has at least five seasons remaining on his contract at $30 million-plus annually. RHP Michael Fulmer, the team’s top starter, will miss the entire 2019 season after undergoing Tommy John surgery. Projecting 2019: The Tigers began their rebuild with an exodus of talent during the 2017 season, paving the way for a potentially bright future in Detroit. While 2019 figures to be another rough season, 3B Jeimer Candelario and OF Christin Stewart could see continued development. More help isn’t far off, with top right-handed pitching prospect Casey Mize, the No. 1 overall pick in last year’s draft, expected to rise quick through the minors to lead a wealth of promising, young Detroit pitchers. What’s new: Additions include C Martin Maldonado, OF Billy Hamilton and RHP Homer Bailey. Gone are SS Alcides Escobar and RHP Jason Hammel. Cause for concern: C Salvador Perez, one of the lone remaining members of the Royals’ 2015 World Series-winning club, will miss the entire 2019 season after undergoing Tommy John surgery on his throwing elbow. LHP Danny Duffy, the team’s top pitcher and a potential trade chip, is battling a shoulder injury. Projecting 2019: The complete overhaul continues this season after the Royals lost several of their top players to free agency prior to last year. The team will hold the No. 2 pick in this year’s draft and look to find a new face to lead the franchise back to prosperity. RHP Brady Singer, the team’s top pick in last year’s draft, will make his highly anticipated professional debut in the minors.